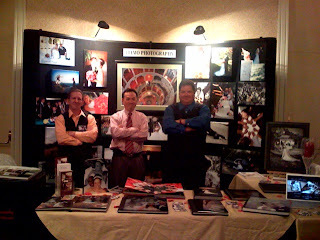 We were at the Pasadena Hilton doing a bridal show. Here's a picture of our booth. We met many beautiful brides to be today. It's alway such a joy to hear their stories about how they met, where they're going to get married, and most of all introduce our services to them on their special day. To those of you who scheduled to have a consultation with use next week, we look forward to discuss with you further regarding our services. Thank you to each and everyone who stopped by our booth to take a look at our beautiful albums. God Bless.